Millions of students in the United States have finished up their finals this month. Millions more are going to finish up shortly. Some of those students are also graduating this spring. Most of those students are just entering summer break. Graduating seniors might have jobs lined up for them to start almost instantly after graduation. Returning students may have summer courses to help make sure they graduate in time. And more may have summer jobs close to home. But for the rest, this summer is presenting an opportunity to make big moves for the future. With the free time college students will have this summer, college internships might be the way to go. But how do you know what’s best for you? A summer internship provides students with a unique opportunity. 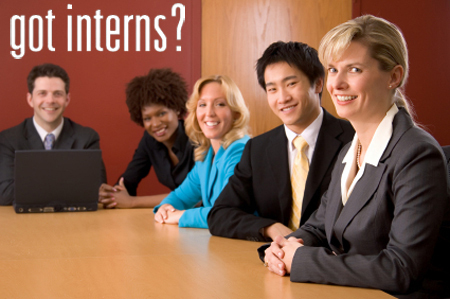 Most summer internships are 10-week programs and are typically 9-5 Monday through Friday. Essentially, this would be a chance to work a full time job in the real world on a trial basis. For many students this is a good way to decide what direction they want to go in after graduation. If you like your internship, you may have just found your new career goal. If the people you intern for like you, they might give you a job upon graduation. And if you do not like your internship, you know what direction to not go in. 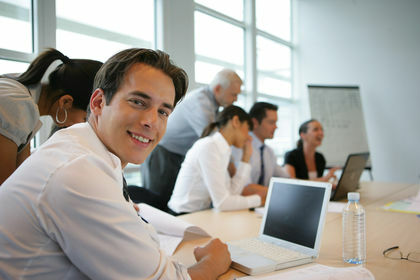 A summer internship is a productive way to spend the 3 months before classes resume in the fall. At the very least, it will be something to pad your resume with. If the idea of spending one of your last free summers until you retire decades from now working 40 hours a week does not scream “FUN!” to you, there are internships that require less hours. Not every internship is paid. In fact, most internships are unpaid. In exchange for gaining work experience and getting your foot in the door of your desired field, you may have to sacrifice by doing it all for free. For some this might be a problem. If you need to commute to your internship, it might cost you a lot of money. For instance, if you have to drive or take a long subway ride, in the end, you might not only be spending hundreds of dollars over the course of the 10 weeks just to get to and from your internship, but the added time will turn a 9-5 internship into an even longer one with commute time. This is where you need to step back and do the math. Is the time and cost of an unpaid internship worth the experience and benefits of an internship? If not, don’t worry, there are still paid internships. While they might be a bit harder to get as there are fewer of them, the options are still there. These can help, along with college grants and scholarships, to pay for your college education. Chances are that your school has a program for finding internships and jobs. Talk to an advisor or log onto the website for your school’s program and explore your options. What if I decide against an internship? There are many reasons not to do an internship. There are the financial and time costs that we have mentioned. Also, you may not be able to get the internship in the field you wanted. Or maybe, you just don’t want to spend your last real summer break working, especially if it’s for free and not in a field you want. That’s okay. For college students, these are pretty much the last summer breaks of your life until you retire in 40 years. If you make the choice to spend your last summer off spending time with family and friends and doing all the things you wanted before real life makes it too difficult, there’s nothing wrong with that. If you choose to enjoy your summer off, you still have choices. Colleges have career fairs and options for internships during the school year. With only so much free time until you enter the career world, choose to spend this time how you’d like best.